The move is mainly aimed at preventing the train passengers and train enthusiasts from taking selfies at tracks and also promoting railway tourism, said sources. CHENNAI: In a couple of days, train lovers will have a designated safe point for taking selfies with one of the country’s oldest steam locomotives in Chennai. 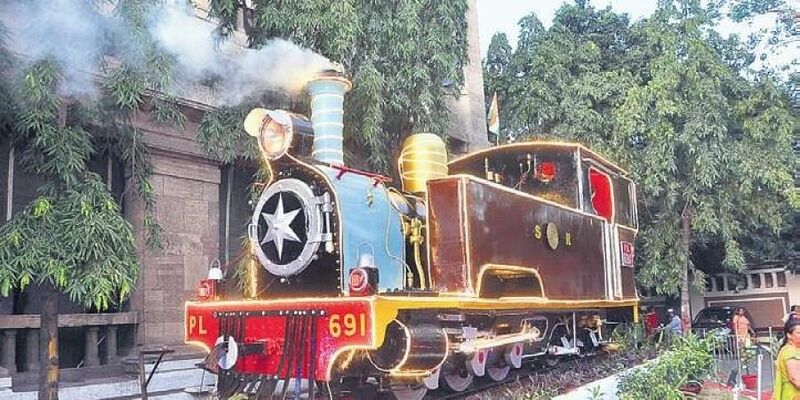 PL 691, a 112-year-old steam loco plinthed at the entrance of the Southern Railway headquarters building, one of the British-era structures in the city, is likely to be thrown open for public for taking selfies, according to official sources. “A loudspeaker has been established in the building complex. A two-minute automatic voice-over will be played in Hindi, English and Tamil explaining the key features and history of legendary steam engine,” explained a senior railway official. The visitors will not be allowed to go inside the locomotive. “A space will be earmarked for visitors around the locomotive to enable them to take selfies. We have not decided yet on charging the visitors,” the official said. The steam loco weighing 20 tons was one of the two locomotives built in 1905 by Kerr, Stuart and Company Limited, a locomotive manufacturer in England for Mayurbhanj State Railway (present day South Eastern Railway). The loco was put into operation since 1906 and it hauled the trains in narrow gauge line (760 mm) between Rupsa and Baripada towns in Odisha. When the Mayurbhanj State Railway was converted to diesel locos, in 1928 four steam locos including the PL 691, were shifted to Naupada shed of Parlakimedi Light Railway, which connected a narrow gauge line between Naupada and Gunupur in Odisha. After the lines were converted to diesel, the loco was taken off from the service in 1992 and was plinthed at General Manager’s office in Chennai in 1998.